This couldn’t be easier to do, and is a great homemade gift to give out to friends and family during the holidays! 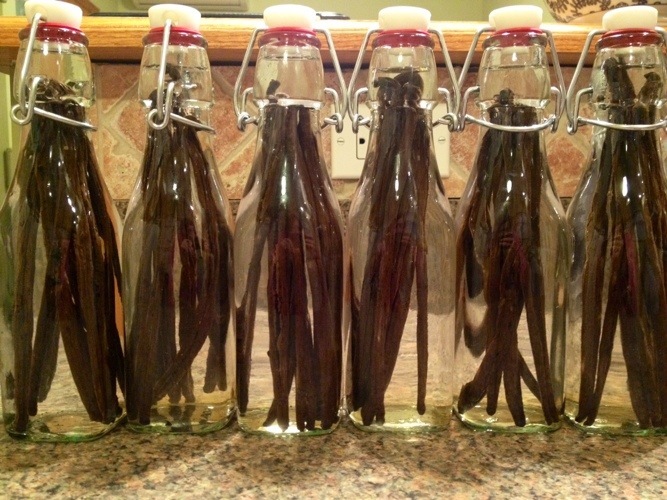 All you need are good vanilla beans, vodka, and a little patience. They will last forever, just like the vanilla extract you’d buy at the store. Definitely have them sit for about 6 months before using it though so that it has had time to sit. 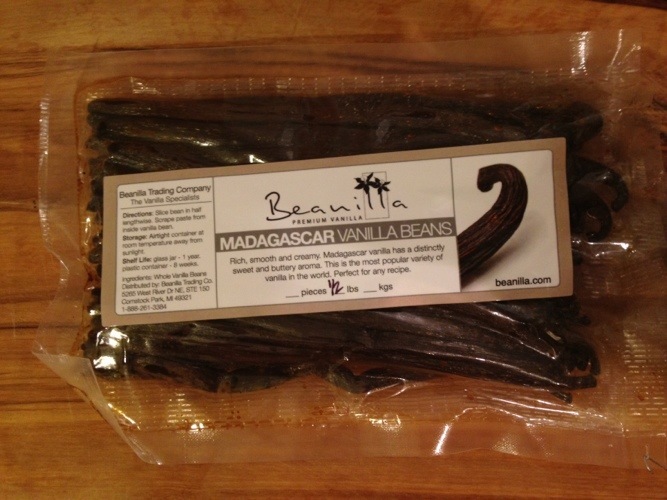 I bought my madagascar vanilla beans on http://www.beanilla.com, where they have a nice variety of vanilla, as well as bottles to purchase which is convenient. I bought my bottles at Fishs Eddy here in the city though, one of my favorite stores! 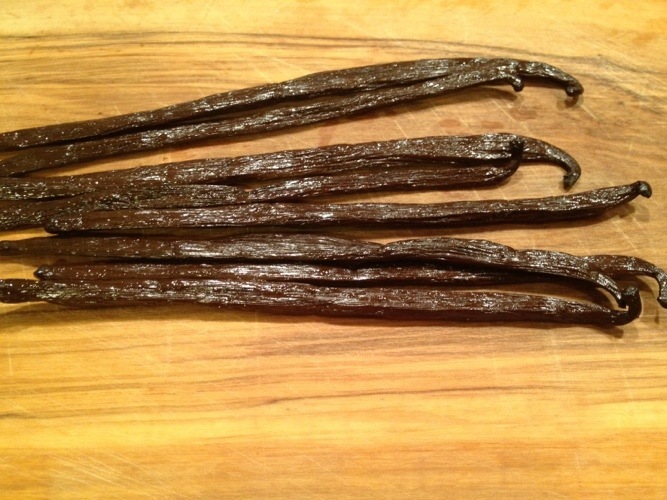 Start by slicing down the center of each vanilla bean with the tip of a sharp knife, not so hard that you cut through to the other side though. 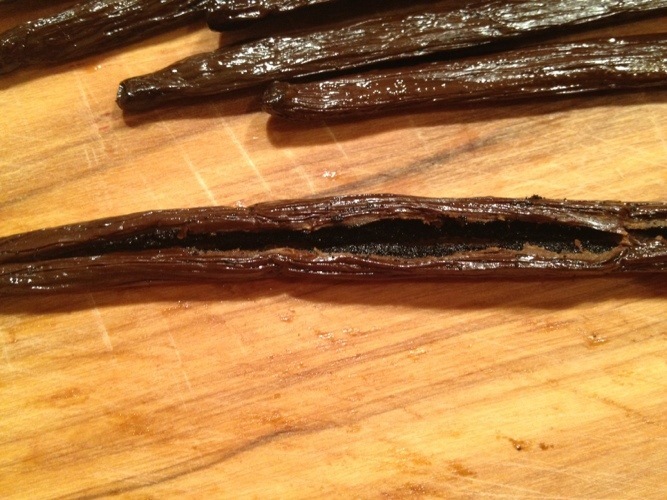 You are opening up the beans so that the vanilla is exposed. It smells SO good! 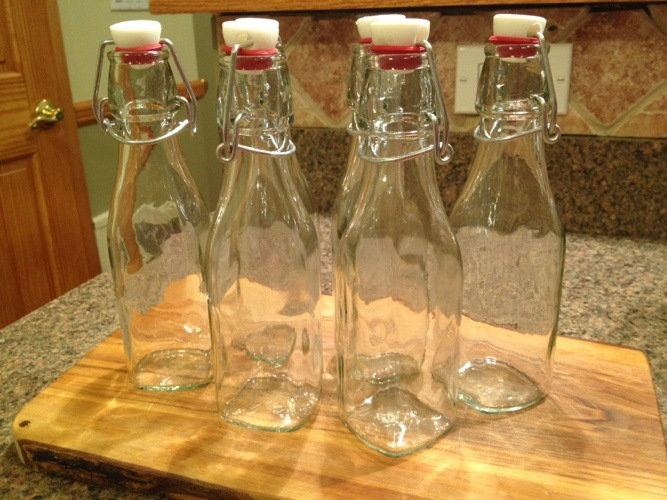 Fill the bottles with 8 beans each. 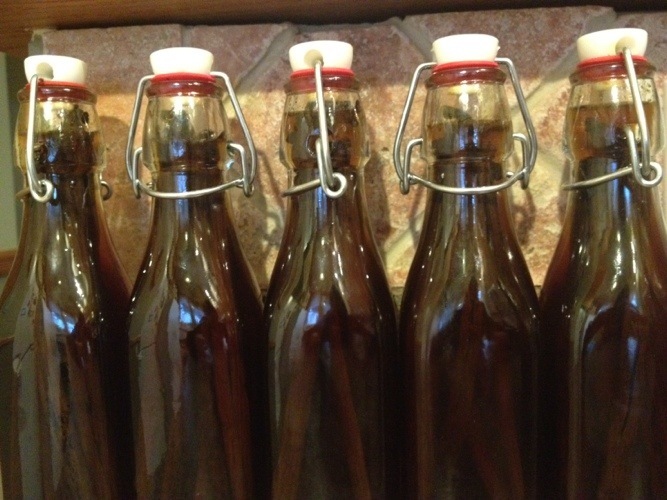 You will need at least 8 beans per bottle to get the full strong flavor for the extract. 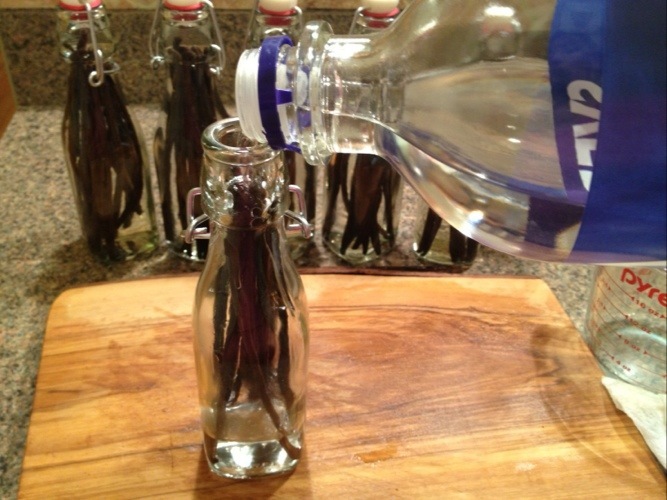 Lastly, fill each bottle with vodka covering the beans to the top and seal the tops. 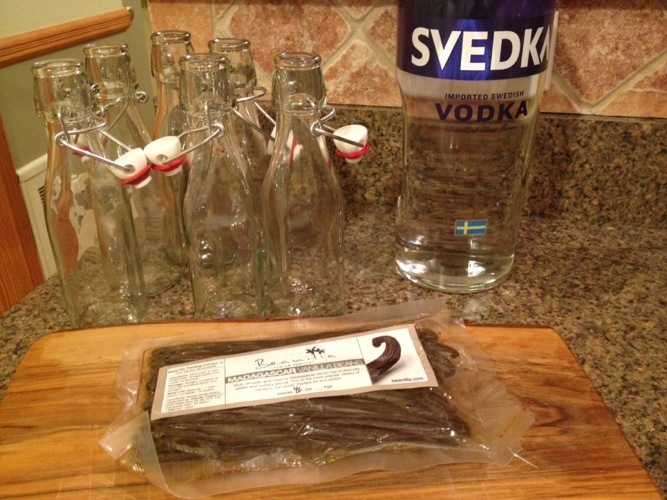 When buying the vodka, you don’t need anything super fancy. I went for something on the cheaper side, but not so cheap that it reminded me of my college days. 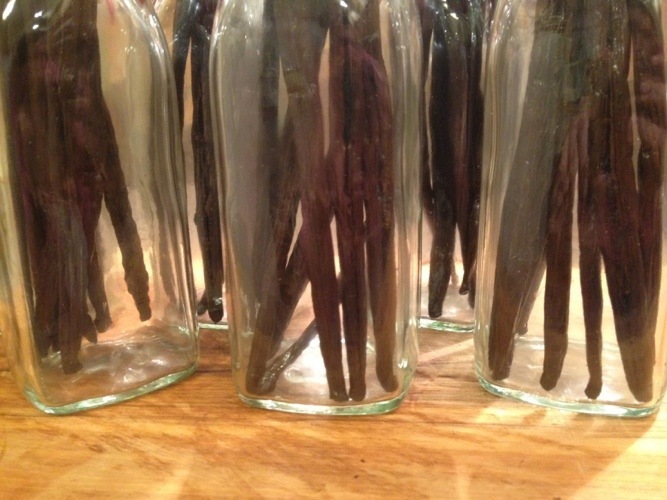 Shake each bottle gently to release some of the vanilla from the beans. Place in a cool dry space and shake once a day for a week or so, then you can just give them a shake every couple weeks following that. You’ll notice that they get darker and darker over time. It will will be usable within 4 months, but I recommend letting it sit a little longer. The longer the better! 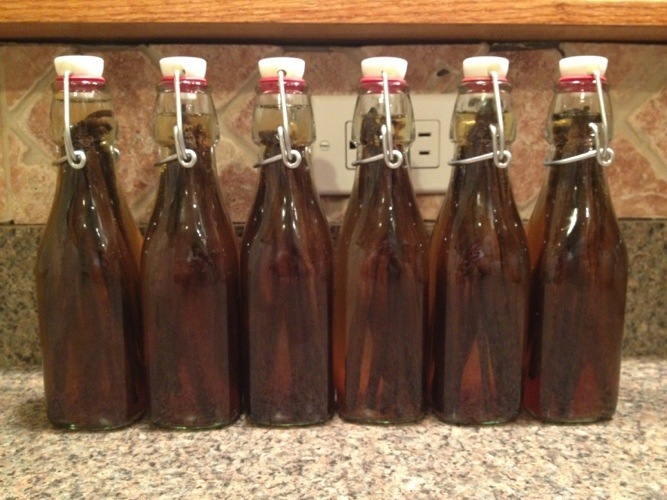 Thank you Nicole for my Vanilla Bean Extract. When I am back in South Carolina it will be on display on my counter until I get to try it. Caught up on your new postings, can’t wait to try some of them. Can’t wait to try. Where did you get the bottles? I got them at one of my favorite stores here in the city, Fishy Eddy!